Teachers, sports coaches and business executives are among the professionals that regularly put their ability to speak at risk by ‘misusing’ their voices at work, a leading international medical expert has said ahead of World Voice Day (April 16). 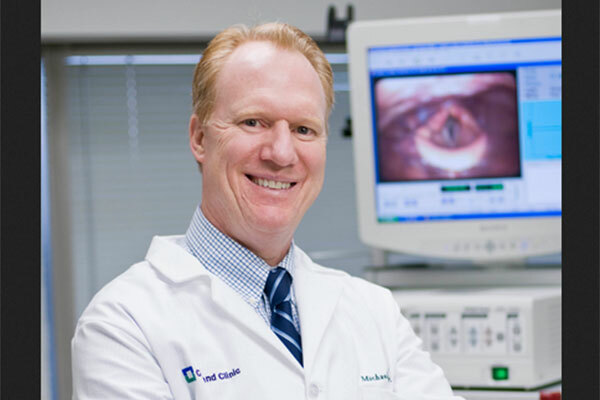 Dr Michael Benninger, MD, head of the US-based Cleveland Clinic’s Voice Center, said jobs that involve public speaking often end up damaging the vocal folds, sometimes called the vocal cords. These are the membranes that vibrate to give us the power of speech, with the three most common types of damage being vocal nodules, vocal haemorrhaging, and vocal polyps. Teachers, lawyers, and sports coaches, who consistently speak to large groups, are all on the danger list for professional voice disorders. So are company executives speaking forcefully during meetings, sales representatives, and customer service staff. Severe overuse, such as shouting and yelling, can lead to a sudden loss of voice through vocal haemorrhaging, where blood vessels on the surface of the vocal fold rupture and the soft tissues are filled with blood. Vocal cord polyps are benign lesions that often follow injury to the vocal fold, such as from heavy overuse or from persistent coughing. For vocal haemorrhaging, Dr Benninger said the best course is to rest the voice and give the tissue time to recover. Vocal polyps may need surgery to remove them. He explained that there are several steps people should consider to reduce their risk, particularly if they have already experienced voice problems. Where possible, anyone involved in public speaking should use a microphone to amplify their voice. Warming up before speaking, such as by humming, can reduce the risk of strain, and professional voice training or singing lessons can teach techniques for safely increasing the clarity and volume of speech. These include points such as breathing techniques and maintaining the correct posture. Other areas to consider include diet, with acid reflux a common underlying cause of voice problems, and good hydration is very important. Dr Benninger recommended taking regular sips of water throughout the day to soothe the throat, and chewing gum can encourage the production of saliva. For some people, allergies cause problems with the voice. Operating within Cleveland Clinic’s Head and Neck Institute, the Voice Center is a multi-disciplinary center of excellence that takes a team approach to evaluating and treating a wide range of disorders. Ear, nose and throat specialists, speech pathologists and voice teachers provide primary services, in conjunction with several other medical disciplines.